Instead of the usual G-series iteration in the first half of the year, and the V-series in the second half of the year, LG is planning a change of strategy in 2018.The first rumors about a brand new smartphone code-named Judy, which will succeed the G6 and replace the G7, are now appearing on the net, and now a mysterious device surfaced at MWC, which could well be the enigmatic Judy. LG V30 review: the right phone for filmakers and YouTubers? The LG G7 was not be presented at the MWC 2018. Instead, we got a revised V30 enhanced with AI. 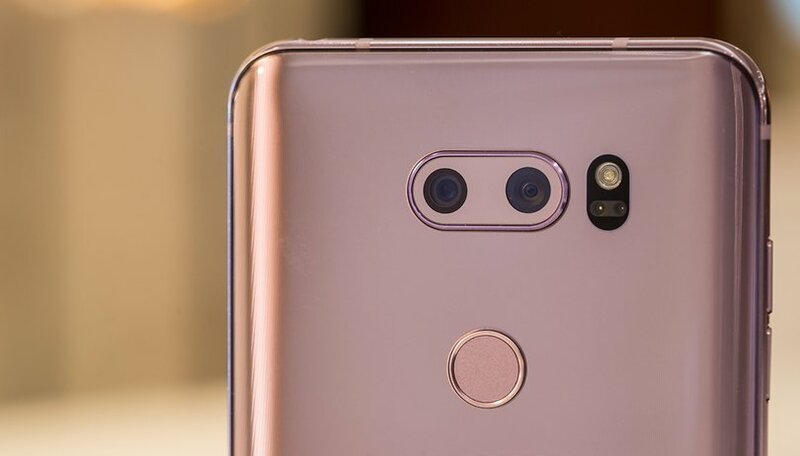 But it is doubtful whether LG's V30s ThinQ will be able to compete with the Galaxy S9, HTC U12, Huawei P20 and co. To really keep up, LG will need a brand new smartphone. The hands-on test carried out by the Israeli journalist reveals the technical specifications of the device. It's certainly no slouch, being equipped as befits the modern high-end segment. These numbers line up with previous information on the LG Judy leaked by Evan Blass. According to his sources, this smartphone is to appear in a new design and get Qualcomm's Snapdragon 845 processor with 4 GB RAM and 64 GB. The new smartphone is also to be equipped with a dual camera, which has a sensor with 16 MP resolution and f/1.6 aperture, stereo loudspeakers called Boombox and everything else a high-end smartphone in 2018 needs. However, there is some surprising news regarding the display. Instead of using the in-house P-OLEDs as was the case with the LG V30, LG will outfit Judy with a MLCD+ display. Why the "step back" to LCD? The displays with MLCD+ technology should have an RBGW matrix. The "W" stands for an additional white sub-pixel in the display matrix. With this bright sub-pixel, the LG Judy's display should be particularly bright. According to Evan Blass, it should be up to 800 nits bright and consume 35% less energy than the classic IPS LCD panels. If LG makes the right moves with Judy, it could rescue its position in the smartphone market. As we already mentioned, these are just the first rumors about LG's Judy. Evan Blass has proven to be very accurate in his predictions in the past, but he can also be mistaken. We will of course be keeping an eye on the stories around LG's upcoming 2018 smartphone and keeping you up to date with everything we find. What do you think LG's Judy needs to feature in order to change the company's fortunes? My son has a G6 and loves it. I was hoping for bigger things from LG this year. Kind of disappointed with the updated v30. phones now look the same, there's none exciting anymore, soon people will stop attending #MWC..
Stop with the curved screen!!!!!!!!! Instead of improving the Pee-OLED their jumping to MLCD, huh! Why not improve it? Well, at least their waiting for the 845 processer. The stereo speaker's will be an improvement especially if they keep the 32bit DAC. Samsung has an over abundance of OLED displays left over from the X. I wonder if Google will jump on them for the Pixal3?